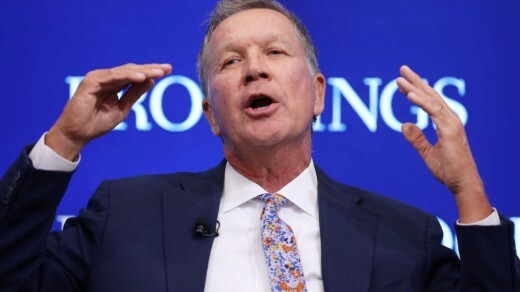 Kasich: 'The Lord Doesn't Want' Americans Putting Up Walls And Turning Away The Caravan"
Mr. Kasich said this recently as reported by Daily Wire. He's not the only politician who has recently declared God's wants, God's will, or what God's words mean. This is one of the reasons that it's so important that Christians have a good understanding of what God's word actually says. Jesus said, "My sheep know my voice..." When we, as believers hear a false statement, we know it. We hear what is being said, and we judge it by what God's word says. It is foolishness to assume that everyone loves our nation, and that everyone who comes into the USA is our friend. In the scriptures, Israel had many enemies. They were not only taken into captivity by the Babylonians, they were in several battles, and they were also occupied by Rome during the time that Jesus Himself walked this earth. Paul tells us to rightly divide God's word. Rightly dividing doesn't involve removing scriptures completely. Rightly dividing gives us a full picture of every situation we, as believers may face. When Jesus was tempted in the wilderness, every single answer He gave began with, "It is written." That is a clear message to all of us that we should also know God's word, so that we can also answer during times of temptation, just like Jesus did. The Bible tells us that God is the same yesterday, today and forever. Searching the scriptures prayerfully for the answers to all our questions, involves the entire Bible. Most people are familiar with the story of Daniel and the lion's den, which took place in Babylon after Israel had been in captivity there for many years. Earlier in the scriptures, God had given a clear warnings about the outcome the nation of Israel would face if they walked contrary to His instruction. (Leviticus Ch. 26) very clearly shows the circumstances that led to their own captivity. Israel had spent many years walking contrary to God, and this resulted in worse and worse conditions right up to the nation of Israel being taken into captivity. God used King Cyrus to free the Israelite people from Babylon and to restore the temple in their homeland. The book of Ezra Ch. 1, 1-10, gives the details of the decree made by King Cyrus. Further on into the book of Ezra, the people had finished laying the foundation of the temple and they rejoiced. They had a lot to rejoice over! Many years after Israel had been invaded by the Babylonians and taken into captivity. God used King Cyrus to set them free. King Cyrus had no idea that the true living God was using him for a great purpose. The book of Isaiah goes into the prophecy about king Cyrus long before he went to battle with Babylon. There is a very important statement in the above verse. Notice that God opened up the gates of city so that they would be invaded and lost in the battle that King Cyrus led. The bible has much to say about cities that have, and do not have walls. God compares our walk in Him in the same way that he describes cities without walls. When we abide in God's word, there is a hedge of protection, (or a wall) around us that protects us from our enemies. 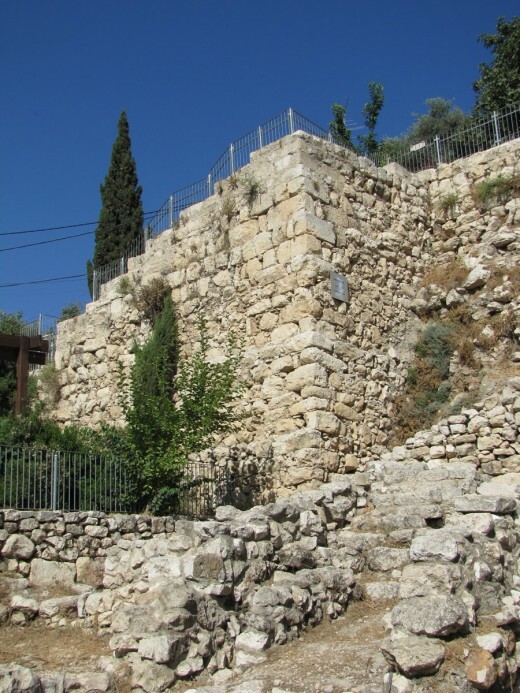 When the nation of Israel abode in God's word, the cities were walled. 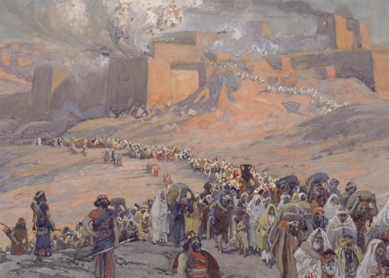 When they walked contrary to God, not only did their walls crumble, but so did their nation. In this world there has always been wars, battles, and deceit. God's word calls for kinds, without a doubt. But God also tells us to walk in wisdom, according to His word. As with the case of politicians trying to manipulate people and using God's word to do it here is the solution. Thank you, Betty and I reciprocate your sentiments. Take care and I'll be checking out your other articles soon. God bless. Thank you for your sincere response it's much appreciated. I'm sorry to hear about your friend. I've been dealing with some similar issues that were very hurtful as well, so I can relate. Sometimes answers do take time. I love what you said, "Keep asking, keep seeking, and keep knocking." I'll add you and that situation to my prayers. Please add me to your prayers too. Forgive me for not responding yet. I'm doing several things here at home, and trying to keep up here at the same time. I will get to it, hopefully before the day ends. "I don't think God answers "every single time." He certainly does answer. See God knows our hearts even better than we do. He knows what we can "bear," and what we can't. Sometimes answers come right away. Sometimes there's more to understand before questions are answered. In those cases, we can not yet bear the response. It's like a building up on the sure foundation. Jesus is the Chief Corner stone. We grow up, and mature. From the milk of the word to the meat of the word. Trusting that God will answer, because He knows what we can bear. He does answer every time. That is actually a promise to everyone who seeks. Leland Johnson if that's how I'm coming across, I will work on that, because that is not my intention. My heart is completely set on encouraging others to study the scriptures in Christ. I shared it earlier, but here it is again. Do you see the difference in how God's word is studied in Christ and how they are studied outside of Him? I know an atheist who actually knows what the bible says more than a lot of people. He sifts through the scriptures looking for ways to disprove them. He's actually very good at what he does on a natural level. But hearing him as he speaks, he does not have the eyes to see or the ears to hear. Betty- I think what's happening is you're taking my words as accusations? I'm not accusing you of worshiping the bible, but I'm pointing out that your declarations about your study is the same thing the Pharisees would've said. It's an offering for your consideration. If you don't want to consider it that's ok- you're free to do so or not do so. I'm just saying that you're coming across as if you're the only one who is zealous for the word of God. This is what I meant by endless debates ensuing. The more we talk the less we hear the voice of God because we get busy defending our positions, feeling attacked, etc. I don't think God answers "every single time." Sometimes He is silent just as He was when His own Son asked that "this cup might pass from me." The Lord's Father did not answer that prayer and sometimes He is silent for a time with us. I learned that through experience and, interestingly, had it confirmed in my heart when Chambers stated the same thing. He said, "If God has been silent, don't despair. He is trusting you with that silence." I appreciate your zeal, but I don't want to argue with you. Remember how Paul told Timothy, "the servant of God must not strive?" He meant if you would be a servant of God you can't be argumentative. I've learned (and am still learning) that the hard way. Blessings and continued success with your articles. Betty- "Oswald Chambers made a good point germaine to our conversation. He said, "It is important to remember that we worship the author of the bible, not the bible itself." Oh my Leland, I worship God as I study His word prayerfully. I like Oswald Chambers, I have his daily devotionals right here on my desk. I recently bought a copy for my mother. I think that what you are doing by implying that I "worship the bible," is wrong. You are not the first person I've heard says this, and I've found that most who say it, are not people who "study to show themselves approved unto God..."
I'm not saying that is the case with you, but it's an argument and an excuse to put God's word aside. Which is something I will never do. I already know that when we study prayerfully, and ask Him questions as we do, He answers every single time. Jesus told the truth when He said, "Seek and you shall find, knock and the door shall be opened unto you." Everyone who seeks finds, and to everyone who knocks the door is opened. I also must say that throughout the bible, when God's instruction was neglected, that is when the people fell into sin. It happened over and over in Israel. The Pharisees were making their own laws.Of course they were. They did not have the vail removed, like Paul said. They were interpreting scriptures by themselves, not by revelation. Here is what Jesus said to them. You see Leland, when God speaks, what He says is living, which is why the written word is living. See, God's written word, when we are studying it, God is looking at our hearts. He knows our intentions, and our desires, whether it is to understand and draw near to Him, or whether it's to discount His word. God has the power to open our eyes to what is written, he also has the power to "vail,' our eyes. So our intentions are of the utmost importance. Let's break down that verse. Of course God's word is living. We can go all the way back to Genesis Ch. 1. Everything that God said, "Let there be light, and there was light," everything happened. You can look outside and see the sky, the trees, the grass the clouds, all are the result of God speaking. His word is living. Infact, all things are sustained by His word. "and discerning the thoughts and intentions of the heart." While we are studying God's word, our thoughts and intents are actually "discerned." There is not one single verse that shows that anyone was ever punished, or suffered for searching and studying the scriptures. In fact, when scriptures were neglected, that is when people and the nation of Israel fell into trouble. There is not one verse where God chastened a person for studying the scriptures and seeking Him with all their heart, mind and strength. There are many about those who didn't. God also never called study of the scriptures, "Idolatry." I do see what you're getting at. I have had this conversation with others. God's word is the seed. We can plant the seed, or plant doubt. Betty- Oswald Chambers made a good point germaine to our conversation. He said, "It is important to remember that we worship the author of the bible, not the bible itself." Now that is the mistake the Pharisees made and I think a lot of Christian people make. Believe me, I value the Scriptures. They are the record, not only of my Lord, but of human beings like you and me that God interacted with throughout history. But our chapters are written daily with God, our verses are lived moment by moment. We shouldn't be like the Pharisees that worshipped the Scriptures. You left out a key essential to growth and knowing God. It is hearing God's voice. Jesus said, "My sheep know me, they HEAR my voice." Remember, the people of that day didn't have 3 bibles sitting on their shelves, they had to hear the voice of the Lord. Ordinary people didn't have the bible until 1500 years after Jesus walked the earth, they had to rely on his voice just as he said they/we could. That doesn't mean we discount the Scriptures, absolutely not, but it was hearing him, his voice, that Jesus emphasized. There has never been a heretic that wasn't a well read scholar, but his "sheep hear his voice, and another they will not follow." When we quote the 10 commandments for example and tell people, "the bible says 'thou shalt not murder.' it's right there in Exodus 20 and Deuteronomy 5- it's there, can't you see that?" We might use those verses to persuade people to stop killing innocent babies via abortion and people say "no, I don't see it that way. That means killing a person, not a fetus." You see, they don't know that the word "fetus" is Latin for "offspring/children/progeny." They don't know that so you can quote that verse to them all day and it won't matter because they are not "hearing the voice" of the Lord. Our salvation is in him, not in the written word. If it were then the Pharisees would all be saved, yet we know they weren't. Jesus in effect was saying to them, "You have the Scriptures, but they do you know good because you don't understand what you're reading. If you did understand you would recognize me as the Messiah." See what I'm getting at? Betty, When you read Paul's conversion and compare it to Jesus' saying "the Kingdom of heaven is within" us his conversion was a trick of Satan calling himself "Jesus whom you persecute" in a voice someone other than Paul heard. I've had many external voices say something to me, sometimes others were around me who never heard my name called nor what was said, and my elder sister has been in my presence and heard her name called that I didn't hear, so since those who accompanied Paul heard the voiced and "saw no man" it was a trick of Satan. Although a great many of people have read what Jesus said in Mat. 19:29, and other places, they still accept Paul's words over his where Paul said "a man who doesn't take care of his household he is worst than an infidel" over Jesus'. In that way Satan has deceived most Christians, which once included me, because Paul's writings mostly concur with Jesus'. After my "New Conception", since Romans 1:20 say "the invisible things of god is clearly seen by [the made birth process]", as I studied the Bible I began to accept Jesus' words over anything Paul contradicted but only recently realized the difference between Jesus' words and Pauls the conversion was why. "Didn't Jesus say "the kingdom of heaven is within us" (Lk. 17:21) and the Psalms "heaven is God's throne"? So hasn't most of Christianity has been Satan deceived by Paul's conversing voice being heard by others than himself. If Jesus' words are true only the one intended to be corrected would have heard it, don't you think? Betty, you said "The coming of the lawless one is apparent in the working of Satan, who uses all power, signs, lying wonders, and every kind of wicked deception for those who are perishing, because they refused to love the truth and so be saved." Didn't Jesus say "the kingdom of heaven is within us" (Lk. 17:21) and the Psalms "heaven is God's throne"? So hasn't most of Christianity has been Satan deceived by Paul's conversing voice being heard by others than himself. If Jesus' words are true only the one intended to be corrected would have heard it, don't you think? The constitution had already addressed all of the problems that should come up, including denouncing the "3/5th of a man" clause and "slavery" as a punishment for a crime written therein, when we read all Articles and first 10 Amendments. That eliminates all political parties as a nation because any divisions can not perfect unity. I'm not separating the Bible from American Politics since the US is the most prophesied nation in the Bible beginning with Genesis 49:1 & 8-12. And so Leland, you have just proved my point. It all depends on how you define "politics" which you have demonstrated it appears there are various definitions leaving it to the eye of the beholder which makes this entire discussion mute unless we are all on the same page. I see your reasoning which seems sound based on your definition however I doubt very many people define politics in the manner of which you do. Can you refer me to such a definition other than your impression of what is meant today by the word politics? On the other hand the dictionary definition is a universal one most people would ascribe to. Thank you for a very enlightening discussion, you are definitely a truth seeker! I only wish more people were as tenaciously scrutinizing as you are. When we accept Jesus into our hearts, we don't suddenly know and understand all things. We press on, we grow and we mature in Him. 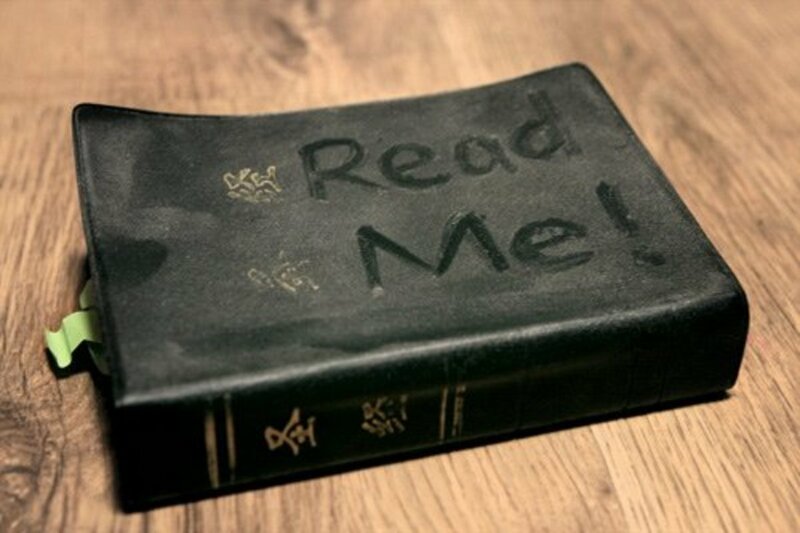 When I repented and called out to Jesus, I heard, "Fill up on the word." That's what I will do until my last breath. "I'm not trying to split a hair here Betty, but I would take your statement about Scripture a step further. It isn't just showing people "what" the Bible says. That has been the source of endless banter and argument and counter-argument since there has been Scripture in existence. Jesus even said to the Pharisees, "You search the Scriptures because you think that in them you have life, and it is these that bear witness of me yet you refuse to come to me that you might have life." It usually isn't a matter of what the Scriptures say, it's a matter of what they mean. The Pharisees had the Scriptures and so did the Saducees. Neither group benefitted from them because they would not accept its meaning." That passage is in no way saying that we should not search the Scriptures. I hear so many people use that passage, but they never go further. Many simply don't believe that they need to study and press on. Let's start with the passage itself. He was NOT telling them to not search the scriptures, he was telling them that they did not accept him or even believe Moses. Moses wrote about HIM. Read Philippians ch. 3. Paul gives his own account about pressing into the word in Christ. His own example. Accepting Jesus is just the beginning. We grow and mature in Him, how? From the milk of the word to the meat of the word. Justice a a huge biblical principle. So is Judgement. Even our justice systems uses the image of the "scales of justice." It all has applications that are contained within the scriptures. I'm not trying to split a hair here Betty, but I would take your statement about Scripture a step further. It isn't just showing people "what" the Bible says. That has been the source of endless banter and argument and counter-argument since there has been Scripture in existence. Jesus even said to the Pharisees, "You search the Scriptures because you think that in them you have life, and it is these that bear witness of me yet you refuse to come to me that you might have life." It usually isn't a matter of what the Scriptures say, it's a matter of what they mean. The Pharisees had the Scriptures and so did the Saducees. Neither group benefitted from them because they would not accept its meaning. I'm sorry Leland, but that is not the correct context. I only have five minutes to edict this, so I'll continue with the reasoning in a new response. T- defining politics, depending on what route you want to take, may be tricky, but I'll define it the way I like to define words- namely through word study. The word itself literally means "city-science." We interpret that as "the way to run a city full of people, by using our senses and science." I know that might seem like a stretch, but please bear with me and I'll get to my point. Another interesting word to define is the word "media." Today people think of "the media" as news outlets and organizations, but in Latin it simply means "middle," which is why we have a "median" in the middle of the road. It is to be neither left or right (an interesting play on words given our media's obvious political biases) This definition really should fit when it comes to journalists- the should be middle/media/neither left or right, agreed? What does that have to do with defining "politics?" I see it this way. Politics, according to the Greek origin as well as our current understanding of the word, means to solve problems regionally by the use of science, common sense, and compromise. None of those things have room for the wisdom of God. It wasn't common sense or compromise for Lincoln to free the slaves; for Lincoln it was a matter of right and wrong. He even said in his second inaugural address "This war is a punishment for the sin of slavery." Those are not political words, not words designed to help us all get along. They were a matter of justice, right and wrong. Lincoln had a vision and a mission from God just as Moses did, it was no less significant. God does not rule from the heavenlies per political fiat or opinion- that's something else politics implies- opinions. I never said there is no such thing as politics in the bible, I am saying God operates how He will according to His purposes and His people must get behind Him on that. ( if we don't how could we keep hope alive when presidents like B. Obama and B. Clinton are elected?) Great advances in humanity are never the result of politics, but great men and women following the vision God has given them. We could mention the Founders of our own country and try to direct them into a political box, but I think that isn't correct. Read their biographies, the Federalist papers, etc and what we see isn't men absorbed in political thinking, but in spiritual thinking. Several of them were ordained ministers. Are politics involved? Absolutely, no way around that. It's the way humans interact. I just want to get away from statements as far flung in the other direction as Kasichs, ie something like "God wants this wall built because of..." whatever. We make our case for building the wall on the principles of justice God has provided just as we support or oppose all legislations. I'm not trying to split a hair here Betty, but I would take your statement about Scripture a step further. It isn't just showing people "what" the Bible says. That has been the source of endless banter and argument and counter-argument since there has been Scripture in existence. Jesus even said to the Pharisees, "You search the Scriptures because you think that in them you have life, and it is these that bear witness of me yet you refuse to come to me that you might have life." It usually isn't a matter of what the Scriptures say, it's a matter of what they mean. The Pharisees had the Scriptures and so did the Saducees. Neither group benefitted from them because they would not accept its meaning. While I disagree on your take about who president Trump is, I'd like to show you what scriptures say about the man of sin. Man of sin. The man of sin (Greek: ὁ ἄνθρωπος τῆς ἀνομίας, ho anthrōpos tēs anomias; also translated "man of lawlessness") is a figure referred to in the Christian Bible in the Second Epistle to the Thessalonians. He is usually equated with the Antichrist in Christian eschatology. While President Trump stands for the rule of law, the other side is actually pushing for lawlessness, no borders, abortion, homosexuality. We've all been seeing the results of "lawlessness." Globalism is Satanic, and nations that were once Christian nations are quickly becoming Islamic nations. Does anyone actually believe that freely accepting people of other nations and beliefs is God's will? God's will is that all should come to the knowledge of the truth. God spoke about not mixing truth with lies. God told Israel not to even learn about the false gods of the nations that surrounded them. 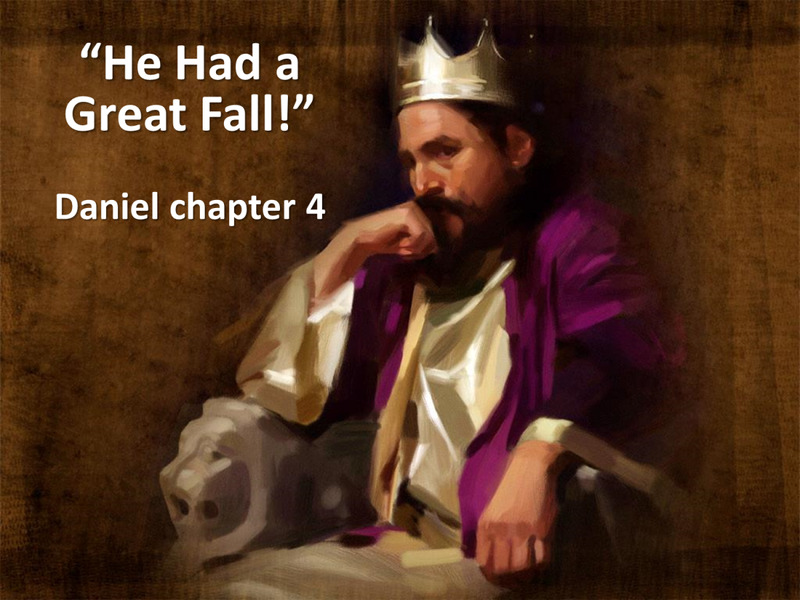 Paul said that there would be a "great falling away," before the day of the Lord. The coming of the lawless one is apparent in the working of Satan, who uses all power, signs, lying wonders, and every kind of wicked deception for those who are perishing, because they refused to love the truth and so be saved (2 Thessalonians 2:9,10). I have never seen so much deception happening around the world, as I am seeing now. It's all about Globalism, not Nationalism. Little children, it is the last hour; and as you have heard that the Antichrist is coming, even now many antichrists have come, by which we know that it is the last hour. . . Who is a liar but he who denies that Jesus is the Christ? He is antichrist who denies the Father and Son (1 John 2:18,22). President Trump accepts prayer, and stands for Christians. And every spirit that does not confess that Jesus Christ is come in the flesh is not of God. And this is the spirit of Antichrist, which you have heard is coming, and is now already in the world (1 John 4:3). For many deceivers have gone out into the world who do not confess Jesus Christ is come in the flesh. This is a deceiver and an antichrist (2 John 7). Islam claims to believe in Jesus, but denies Jesus is the Son of the Living God. The last administration spoke against Christianity so often, that it' amazing that he was voted into office twice. There's a video on Youtube, that anyone can find where BHO, literally mocks the bible. The spirit of Antichrist is that of apostasy - departing from the truth. Really, T & Leland, politics is nothing but policy making. The policy written to govern this nation is the Constitution therefore every policy the governors make are supposed to be first measured against the constitution's "Preamble's" intent. Anything nor pursuant "Unifying everything within the nation, establishing equal justice for all, ensuring everyone is tranquil in their life, ensuring the people and environment are protected, ensuring the needs of everyone is met and the people have the liberty to be who they want to be in spite of what others may think" Article 6 says, paraphrased "it is invalided as a policy to govern this nation" by the word "notwithstanding". Should the president, congress, SCOTUS or any individual make a policy to the contrary of those six standards it is already invalidated. The scriptures also describe the last days, and what is to come. They describe nations that have gone into utter corruption. Even in Sodom, Lot knew what time it was. He knew what was coming. 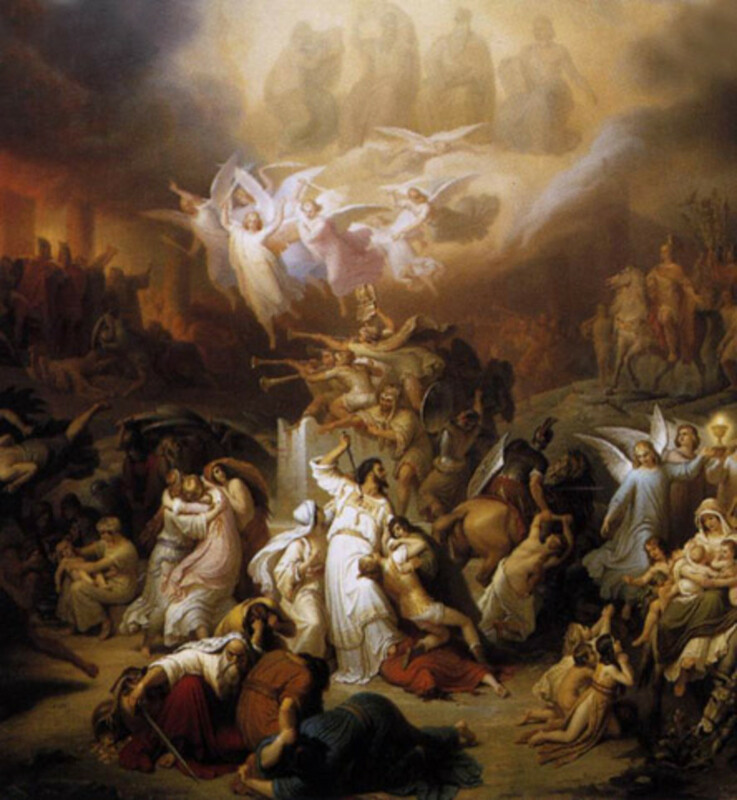 When the angels were entering into Sodom, Lot was waiting for them at the gates. This is why we're supposed to be watching. We're seeing corruption like never before, and it's highly political. When believers are hearing politicians using scriptures to validate their stance, we as believers should first of all, recognize the red flag that comes up in our hearts, and second of all, we should be able to answer with what the bible says. I totally agree with you T. The bible itself is filled with political issues along with the reasoning behind it. Exodus 22:28 "You shall not curse God, nor curse a ruler of your people. 1 Samuel 24:6 So he said to his men, "Far be it from me because of the LORD that I should do this thing to my lord, the LORD'S anointed, to stretch out my hand against him, since he is the LORD'S anointed." David understood that it is God who raises up rulers, and brings them down. God's word fits perfectly together from beginning to end. I love that! I agree with most of what you said, and I apologize for my quick response yesterday. The intent of this article was to show how scriptures are being wrongly used by politicians to influence Christians. In Christ, we are in this world, but not of it. There's been so much anti-Christian rhetoric over the past several years. The ten commandments being removed from court houses, Christians being denied to speak in public places, and in some cases, denied to even gather in their homes due to legislation. God's word has been under constant assault. The only way to answer those who happily plant seeds of doubt, is to answer with the word of God, showing the error. Here's an article that was published by the "California family council," that covers many of the politically charged attacks against God's word as well as believers. What I've been seeing is that many within the government are now using the bible to guilt believers into accepting their agendas. Kacish did it, and the pope has done it more than a few times. In the Old Testament, God raised up King Saul because the people wanted him. He gave them what they wanted and even described the consequences to it. Samuel was distraught by the decision of the people. Here's what God told him. It would be far greater for any nation to have God reign over the people. Unfortunately, not all people believe this, just like what happened in Israel, so we have leaders, and Kings, and rulers. We are subject to them, because we are in the world...even though we're not of it. God still uses leaders, even the ones who go against His will. Now let's look at what God said about Pharaoh in the OT, this is what Paul is describing. Exodus 9:16 And in very deed for this cause have I raised thee up, for to show in thee my power; and that my name may be declared throughout all the earth. The truth is within the pages of the bible. God knows everything, every detail, who is in power, and who isn't. The only way to answer those who use the bible for politics is to show what the bible actually says. The facts are written. God indeed does raise the kings of this world just as His word says. Leland, if you want to totally separate politics from scripture you will need first of all to define politics as you said but did not do because people have different concepts of what politics is just like they have different (often wrong) ideas about what socialism is. The dictionary definition is the activities associated with the governance of a country or other area, especially the debate or conflict among individuals or parties having or hoping to achieve power. Jesus proclaimed his Kingdom is not of this world yet the Bible teaches that Jesus will take over the kingdoms of this world when He returns at the sound of a trumpet. By the definition above this is clearly in line with being political as it pertains to an individual having or hoping to acheive power. Power over the kingdoms of this world. Now I agree Jesus did not involve himself directly in the earthly politics of the time but to say scripture and politics have nothing to do with each other is not accurate imo. Leland, you said "If we practice the justice of God as revealed in the Scriptures we will know how to vote, what bills to pass" but I say "if we are in the world but not of the world" the only issues we would concern ourselves with would be to seek and share with those who we feel are or may be "in but not of the world" which will be revealed to us from within us. When we see someone meeting the description found in 1 Peter 2:9; "ye are a chosen generation, a royal priesthood, an holy nation, a peculiar people; that ye should shew forth the praises of him who hath called you out of darkness into his marvellous light;" we are only concerned with like people. When Jesus said "give unto Cesar what is Cesar's..." he was saying if you are not called out of the world do what the world require of you. However, it does become our duty to point out the fallacies of the governing system in general so that all who feel the call can make up their minds to or not follow it. Betty- I was actually responding to Tony's comments. Jesus was really far above politics. The Law, or Torah, isn't a political statement, but a revelation of the will of God. When they tried to draw him into a political argument as to whether or not the Jews should pay taxes to Rome, Jesus responded by saying, "Pay unto Caesar what is Caesar's and unto God what is God's." I'm not saying the Lord wouldn't have us be mindful of his will for us when we vote, but to try and apply God to political situations diminishes the glory and greatness of God. Politics are common sense issues for the most part- taxes, borders, etc. If we practice the justice of God as revealed in the Scriptures we will know how to vote, what bills to pass, etc. I think for the sake of this discussion we need to clarify what each views as "politics." Abraham Lincoln was a politician, but freeing the slaves had nothing to do with "politics." If he were practicing the art of "politics" he would've allowed for a compromise regarding slavery, but he didn't. His position was that they must be freed completely just as Moses demanded (per God's instruction) that the Israelites were to be completely freed from Egypt; Lincoln even made reference to the Exodus account as explanation for his actions regarding the emancipation/manumission of the slaves. Just as Kasich is mistaken in trying to use Scriptures to support his political position I am leery of using Scripture to support my political positions. Prayerful? Yes. Considered? Yes, but I cannot point to a Scripture that directs us to one political position or another. As for my personal convictions I am a political conservative, but let me remind any who read this of something: The Pharisees were political conservatives. They weren't "left wingers" or "liberals." Just because I'm politically conservative doesn't mean I know God, or that I'm right with Him. That relationship is on a whole different plane and it ought not to be dragged down to the level of politics, politics which is inherently a dirty business and a necessary evil. I look forward to the day when the world will be ruled by the Lord, that most benevolent dictator whose position is not granted by our votes. Thanks for your responses, Betty. God bless you too. Hi T, thank you for your kind words. It's amazing, I just now read an article where the Pope says that those who build a wall are not Christians. I had to wonder if he informed Jesus about that,so the walls in heaven can be removed, or Nehemiah, who rebuilt the fallen wall in Israel, or the walls and gates around Israel? It's crazy. I feel it's important to show what some are saying that contradicts God's word, and it was like a confirmation reading that just now. Hugs to you, your response was encouraging. Betty, if anyone here has come off as spiritually arrogant it is not you but certainly sounds like someone who is so self important and upset that you dare disagree with that someone that that someone has to condescendingly reject you as if you as an author are worthless without his approval! Now that is arrogance! "Answering scripture with scripture is great, but only when used in proper context. Many bizarre doctrines exist because of taking a passage here and there and piecing them together with Scotch tape. Scripture is not wrong, but the way many/some people use it, can be. Honestly, I detect a attitude of spiritual arrogance and condescension from you. I am unfollowing this Hub and you as an author. I will not be responding any further." I've done that throughout this entire conversation. One can't possibly use "context,," or scripture interpreting scripture without part of the bible included. I hope, at least you'll admit the importance of knowing all of God's word. Leland Johnson, scripture interprets scripture. The bible is filled with examples of nations, and walls. Because it is the preserved word of God, every single word is important, regardless of opinions. As for politics being biblical or not, see my response to Tony. Yes, many bizarre doctrines exist. But God doesn't teach His children based on denomination. He teaches all of us the same things. Jesus said how it's done. in Him. "Seek, knock and ask," and then Abide in Him as His word abides in us. That's our light. The entire bible is God's word. You said that you are not advocating for "open borders," yet you bring your own personal opinions in, and then say, "Jesus didn't involve Himself in politics. You don't recognize that Jesus actually gave the law to Israel. How's that for politics? God placed the kings in place to rule over Israel, and Kings of other nations as well. I'd argue that even today God places our leaders, both governmental and religious in position. I can show this with scriptural. God used Cyrus, who didn't have a clue about God, to free Israel from Babylon. In the NT, The Samaritans were a political issue with Israel, read about the woman at the well. See what she has to say about Jesus talking with her. Also, Israel was invaded by Rome, during the life of Jesus, Pontius Pilate was that Roman who stood before the crowd with Jesus when they called for Barabbas to be set free, as was the custom. Don't tell me there were no politics in the Bible. From the OT and on into the NT, there were. Within the government, and within the church. We still see it today. Answering scripture with scripture is great, but only when used in proper context. Many bizarre doctrines exist because of taking a passage here and there and piecing them together with Scotch tape. Honestly, I detect a attitude of spiritual arrogance and condescension from you. I am unfollowing this Hub and you as an author. I will not be responding any further. Well, Tony, You are free to believe what you will, and express what you will. I'll stick with the scriptures and prayerful study of every word. I've learned so much by studying the entire bible. It actually opens up the New Testament. If you've read through my articles here, you'll see that I never leave out any part of the word. I never will. I will always call out false teachings, even when it is a politician. It's deceptive, and sneaky. Jesus said that Satan is a lair, and the father of it, who only comes to steal, to kill and to destroy. In case anyone hasn't been paying attention to our nation right now...there's a lot of that going on. Sorry if it offends anyone, but really, I'm not. The truth is more important. Are you responding based on the article that confronts "politicians," using the scriptures wrongly? Or are you responding based on my discussion with others here? In order to show that a scripture is used wrongly, one can only use scripture. This isn't a family argument, but it is indeed a biblical concept. Jesus warned about false teachers, and so did Paul. Many Christians today, when they hear a verse, they automatically believe that the way it's being used is true. There is rarely "testing the spirits," or going by example of what is written. Not all, but many do that. You are free not to read my articles, because I'll always answer with scriptures. My goal is to live it and not just be a hearer of the word. There's an old saying, "The Devil knows the Bible." I say in response, know it better than he does. I am not advocating "open borders" per se. What I am opposed to is stating that we are supposed to build a wall around our nation at an immense cost under the pretense of it being Biblically decreed. Politics and religion are a volatile mix. While I wish that our nation was more faith-centered, I am appreciative of the fact that our forefathers thought it prudent to prevent our nation being ruled by religion. I agree with you, Jesus did not involve himself with political disputes. His kingdom was and is not of this world. As the old Puritans saying stated, "The Old testament in the New Testament concealed, the New Testament is the Old Testament revealed. All of scripture is beneficial as it all points to Christ. But at the same time, we must be careful to discern what pertained to national Israel and what pertains to us today. We always walk on shaky ground when we attempt to mix scripture with politics. Tony- In Luke 12:13 a man in the crowd interrupts Jesus while he is teaching and says, "Teacher tell my brother to divide the family inheritance with me." Jesus said, "Man who appointed me as an arbiter or judge between you and your brother." Jesus wasn't about to be drawn in to a family squabble over money. In the same way I don't think it is appropriate to try and establish a doctrinal link regarding the US erecting a wall to protect its sovereignty. All nations have borders, all nations have laws regarding entrance into their country. The government has an obligation to its people to protect them from illegal aliens. ALL nations retain that right. ALL nations have that obligation to their citizens. Try to get into Canada without the proper paperwork- they will turn you away or arrest you. Why is the US under such scrutiny for doing what all other nations do- protecting their borders? 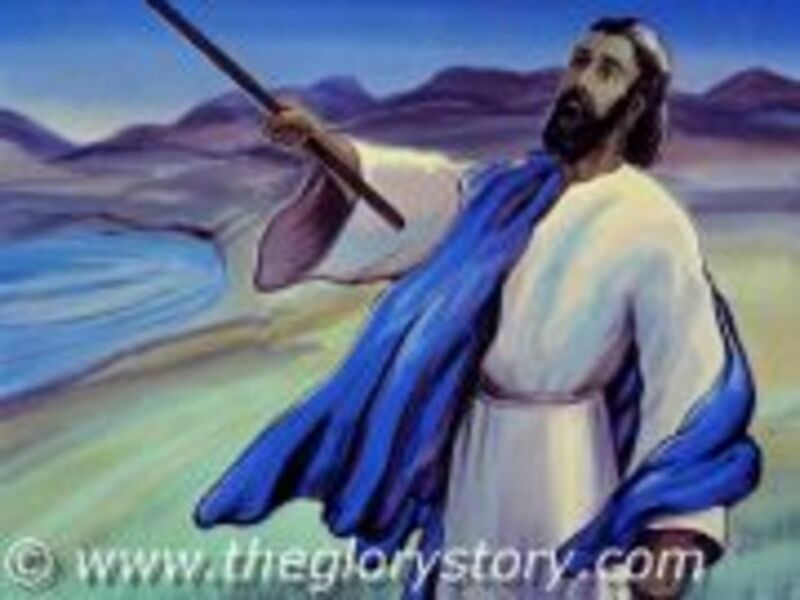 In the bible God provided borders for the nation of Israel for the Israelites protection. In like manner the Israelites were expected to respect the sovereignty of neighboring nations. I think it is a mistake to invoke the Messiah in an argument about borders. I think his response would be similar to the one he gave the man in the crowd. Arguing politics wasn't why he came. That's not at all my reasoning Tony Muse. I actually very much enjoy conversations like this...because it reminds me of passages I've studied. I'm saying that I agree with the book of Hebrews, that everything involved with the law and temple in the OT are "Shadows of the heavenly." As Jesus said, "Seek ye first the Kingdom of God and His righteousness, and all these things shall be added unto you." I'm seeking His Kingdom just like he said. If stoning were still in effect, I would have been stoned by now. Thank God he is merciful. He desires mercy and not sacrifice. However, Jesus was no pushover when He walked on this earth. The Pharasees were always looking for ways to accuse Him. Seriously, you should search out how many times they tried to catch Him in his words. Here's a passage that influenced my reasoning in studying the entire word, and believing all of it. Vs. 46: "that was not first which is spiritual, but that whic his natural, and afterward that which is spiritual." Jesus opened the eyes of the disciples to the scriptures. He opens our eyes to them too. Jesus is the quickening Spirit in us. So many take the stance that it's all done away with, and they are missing absolute treasures by doing that. The entire bible ties together. I appreciate your input, and this discussion. I never said that the OT has nothing of value. With you reasoning we should still be stoning adulterers, not touch women while on their menstrual cycles and keeping the seventh day holy. Never mind, you are obviously content to say that border walls are within the doctrines of Jesus Christ. It seems to me that you are blurring the lines between political bureaucracy and sound doctrines of Christ to fit a political agenda. Tony Muse, you're mistaken. If I'm understanding you correctly, you are saying the the OT has nothing of value, even though the Apostle Paul quoted it often, as did Jesus Himself. In fact, when Jesus was tempted on by Satan, Jesus answered with "IT IS WRITTEN." Three times. And the very first response was, "Man shall not live on bread alone but on EVERY WORD that proceeds from the mouth of God." So, I'll stick with Jesus and believe that the entire bible is valid, preserved and true. Two more more points. Jesus said, "
Now back to the book of Hebrews. Read verse 8:5 Very carefully. "Who serve unto the example and shadow of HEAVENLY things." The OT, was based on natural laws, showing examples of Spiritual laws. None of it can be ignored. If you want to reference Psalms, (Which is one of my favorite books of the bible,) King David said very often. "Your word is a lamp unto my feet, and a light unto my path." He even knew that was a fact. Elijah, Isaiah, and a few others knew it too. I'll never ignore one word. In Christ our eyes are opened to everything written. Read Luke 24, very carefully. You'll see that Jesus opened up the scriptures to the two disciples, (The OT) and when He departed from them, they said, "Did our hearts not burn within us as He opened up the scriptures to us along the way?" 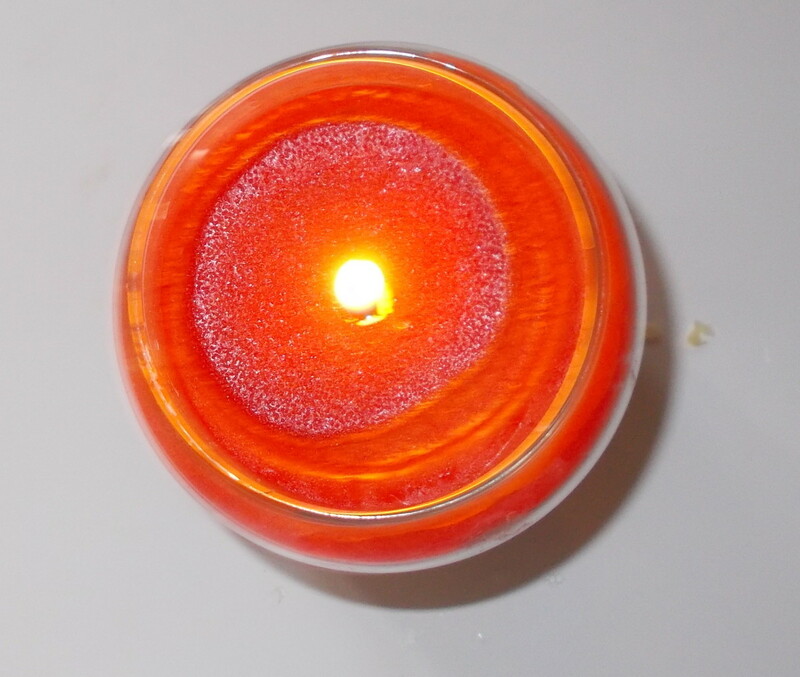 He lights the candle....the word fuels the flame in Christ. Compare that to what Paul said about the "veil being removed in Christ when reading the Old Testament." Thank you so much reading and or your thoughtful response! I'm going you a follow back. God bless. Excellent commentary from an accurate Biblical perspective. If you'd like to see just how a politician can diabolically use, twist and even make up scripture just Google "obama use of scripture" and you will have to wonder if he has ever even read let alone studied the Bible. Great job, Betty. I'm giving you a follow and appreciate you taking the time to do the research, especially when it comes to the application of God's word. You're right, politicians use bible quotes to manipulate, not because they have serious convictions about the bible. In fact, most of the times I've seen a politician reference the bible they get the context wrong. Jennifer Granholm did the same thing in Michigan when she referred to welfare recipients as "the least" of society. She not only took the verse out of context, but she insulted a lot of poor people at the same time. Betty, read all of the Daniel's fourth chapter and see if the United States hasn't put people in space and have over 150 military branches in nations spanning the earth and several zoos in most if not all states. Then look at what happened to that tree, not under Nebuchadnezzar who was evicted from his position for lifting himself up, but under Belshazzar. Belshazzar symbolizes the Messiah who takes over the highest mountain, "the US", and brings world peace (Isaiah 2:2-4) after beginning to eliminate their weapon mass. Before "Mystery Babylon" or US is destroyed Armageddon will be built here where half of the "ten virgins" symbolizing 10% of earth's population will be protected from the the overheated furnace (Rev. 18:4) and remain until a "Red Sea" of blood is spilled by the rest of humanity. In that way those "chosen", as the term Jew means, enters the wilderness for seven millenniums for replenishing the earth for Rev. 21's bodiless "as we know bodies" and sunless civilization without being touched by it. The story of Samson also fits into Mystery Babylon's destruction where he destroys the two pillars killing all of the leaders, that represent the messiah destroying the unconstitutional political parties once he replaces Trump. I agree with what you said about studying the word of God. I'd like to add that the passage that you referenced also says right in the middle, "but they would not hear." That fascinated me when I first saw it. I was praying about the passage because it speaks about "going backwards and falling." When I saw the middle line, it all made perfect sense. I have also been studying the scriptures for many years, and I include the entire bible in all of my personal, prayerful studies. I have found no correlations between Trump and Babylon, in fact, what I see in regards to Babylon is that the Globalists want to draw all the people on earth under a single worldwide system. Just as it was at the tower of Babel. I believe that it is not one single nation, but a world system. God divided all of the people into their own lands, and languages, and it is not for any human being to changed what God has done, unless they are influenced by Satan. So far, what I see is a huge correlation between Israel being taken into captivity into the nation Babylon, and King Cyrus was used to break their bonds. I see far more correlations in that account, and none that suggest that President Trump is anything other than who he is. I am watchful, and paying attention. I dread what the globalists want to do, and what they have started doing around the world. Because I know that it's about the great tribulation. Well, Tony, you are aware that Israel was occupied by Rome in the NT? Also the passage you referenced is about not straying from the truth. The verse that follows actually says not to be carried away with "strange doctrines," which, by the way, God warned about the same thing throughout the scriptures. We both should agree that God's word stands above anyone else, including yours and mine. So I am using the correct context. Of course the chapter is about love, but we can't ignore the rest. Let's take it further....Scripture interprets scripture, so even beyond context, there are many passages that describe our unchanging God. It should also be noted that the book of Hebrew references the Old Testament, more than any other book in the New Testament. The entire bible is more valuable than gold. The Apostle Paul said this to the Corinths. Read it carefully. Paul talked about the same vail being over the eyes when reading the Old Testament, which vail is done away in Christ. We should be able to read it ALL, from beginning to end in context. It's your choice to believe what you will, just as it is for everyone. But I will believe God's word above all men. Especially politicians, of whom I have heard scriptures taken out of context many times. Have a great Sunday. 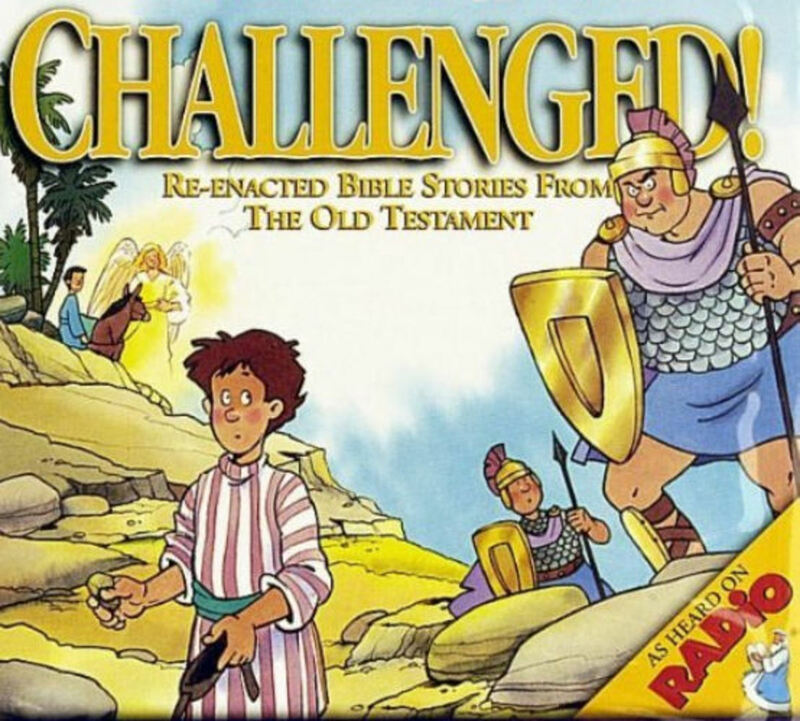 I've never come across one passage, or story where God changes. He is the same, always. Merciful, when we repent, and loving and forgiving. I stick to and in-depth study the scriptures and history to be directed by God as Isaiah 28:9 say we are to be. "Whom shall [God] teach knowledge? and whom shall he make to understand doctrine? them that are weaned from the milk [human's doctrine], and drawn from the breasts [human's preachers and teachers]. 10 For precept must be upon precept, precept upon precept; line upon line, line upon line; here a little, and there a little." On top of that I "commanded", as we are told to, God to teach me and give me the mind to obey. With God's controlling my studies and giving me reason for his revealings I began to see how and why everything written in the Bible are metaphors, allegories, parables and symbol types (MAPS) explaining why and how everything has always existed and repeats itself not only under the sun, as Ecclesiastes 1:9 reads, but throughout existence. The tower of Babel and the Flood Noah survived are both metaphors of what will be happening during the termination of civilization. Don't you see how Daniel 2 reveals Historical Babylon is the beginning of the end of the world that ends by a nation where "the seed of" human comes together but doesn't unite? Isn't the seed of human in the USA and not united, being encouraged by Trump who on October 2, 2018 lifted himself up before the world liked Nebuchadnezzar did and within one hour [how long in prophecy I don't know] was remove from his lofty position (Dan. 4:33)? Doesn't that type what just happened? I'm revealing what I have been revealed, not something I'm imagining. Jesus said be "born again" and, as Romans1:20 instructs, I have testimony of my conception, gestation, trivial, birth and now over 42 years born. How many other Christians do you know with that type of testimony? So, accept or reject what I say, I've done what I was instructed to do, share my vision that goes completely contrary to church's teachings. Do you see how Revelation 3:18 proclaims the mega-churches of today? So, yes, I see all of what happened in scripture but do you see it happening today. Aren't we told to "watch and pray"? what are we watching for if it isn't the manifestation of what is foretold? It is always good to stick to the word of God, but it is even more important to read scripture and apply in context. This statement is made in the context of Christ's ceaseless love towards us and and how we should encourage one another and has nothing to do with building walls. It should be noted that in verses 1 and 2 of chapter 13 says "Let love of the brethren continue. 2 Do not neglect to show hospitality to strangers, for by this some have entertained angels without knowing it". I'm not stating that these migrants are angels, but I will say that you have absolutely no evidence that this is an angry mob of American-hating people who have been organized by some leftist or globalist movement. I also wanted to add, if you read the account of Joshua, there was a battle happening in Israel, and some Gibiontie men came to Joshua and tricked him. They dressed in old clothing and pretended to be from a land far away. Joshua simply believed them and agreed to let them dwell in Israel among the people. His decision affected Israel for many years to come. There's even an account where David had to deal with it. Back to Joshua, here was the problem. I do not even have to say what the issue was. God's word does it. I'm not asking anyone to believe me. But I would like to ask anyone reading this, to read the entire account that took place in the book of Joshua, and then search forward to what happened because of it, when David became King of Israel..many years later. God's word stands forever. I'll always stick with His word, and I will never accept the word of man over Him. Jesus said: Matthew 24:35" Heaven and earth shall pass away, but my words shall not pass away." John 1 tells us that Jesus is the word, who was with God from the beginning. "And the word became flesh and dwelt among us.."
Jesus has been speaking since the beginning. This is why Paul said that the Bereans were more noble, because they searched out every matter to see if it was so. Guess what? The NT hadn't been assembled yet when Paul wrote that. The OT is just as valuable as the NT, and in order to get the full picture, and rightly divide, we need the entire bible. So many pick and choose blessings from the OT, but want to write off the rest as if there is no learning to be found in it. As I said, God's word tells us be wiser than serpents and gentle as doves. There is too much happening right now that lines up with God's word. The heavy push for globalism should have every Christians attention. Even that goes back to the OT. You see, the people were all one people, like one world...all together, and they built the tower of Babel. God separated them into their own nations for a reason. Who do you think would like to draw the entire world under one power before the return of Christ? The OT also speaks about mixing religions, and in case you missed it, many Christian leaders, as well as the Pope have made a statement that "all people serve the same God." That is a complete lie. The bible gives us names of false gods, from Dagon to Dianna. We are not to mix belief systems, water and oil do not mix. I'll stick with the pure fountain of the word, and Trust that God told us the truth. Well, God definitely had a purpose for Israel, to preserve them in order to fulfill the promise that He made to Abraham that through his seed (Christ) all of the families of the earth would be blessed. You are definitely free to form your own opinion concerning the intent of these migrant peoples, but I do not in any way believe that this is an invasion of American, like Trump is proclaiming. From what I have heard at last half of them have either turned back or have decided to stay in Mexico. It is impossible for us Americans to know what it is like to live in a country where murderers and thieves are the law of the land. I do not blame them for seeking a better life. Yes, God is the same yesterday and He is today, but I believe that you are taking the fact that Israel built walled cities out of context in regards to that promise. First: the raiders of the "white horse" was the Catholic Church's crusades preaching the story "about Jesus" (crown) calling him "leprous as snow" (Exodus 4:6-8) and using the "sword" to force their acceptance of it. Second: Europe, especially Great Britain began colonizing the earth causing desertion among nations. Third: came inflation since a penny in Hebrew means "a day's pay" so obtaining a meal began to cost more than a day's pay. Fourth: then came the beginning of the "World Wars". Fifth: God prepares those who discarnated during this civilization's last demise (Rev. 14:13) to be ready tories during the first millennium and the b building of Armageddon in the USA as typed by the "Hebrews in the furnace". Sixth: world peace for sealing half of the 10 virgins (10% of civilization's population) and when half are ripe they are gathered in Armageddon for protection from the "Red Sea" of blood spilled by everyone left on earth. Seventh: the beginning of "the Battle of That Great Day of God Almighty" with the seventh trumpet announcing the opening of Armageddon to begin replenishing the earth (Rev. 20:4-5). I say that because "The Church" is preaching what IS IN the Bible but can't hear "what the spirit" is saying by those words. They aren't "born again," a metamorphosis like a tadpole turning into a frog. Once we become "reborn" from human/woman into man even before obtaining "dominion powers" we will be revealed that everything is "God's Purpose" for us. Thank you for your response Tony Muse. I will always take the stance that God is the same yesterday, today and forever. Why? Because His word tells me so. Israel wasn't always at war with their neighbors, but they still had walls. You said, "Back then cities warred against each other." That hasn't changed one bit. The same cities that surround Israel today, were present back then as well. You know Tony, those same cities that surround Israel, also serve a different god. The bible speaks in great detail about it. To top that off, God uses parallels throughout His word, that draw spiritual principles from natural/obvious principles. Nations are still battling just as they were "back then." That's the way of the world. It doesn't matter who you say we are or are not at war with. There are always things happening behind the scenes that neither you nor I are aware of. I assure you, God is aware of every single detail. We can use discernment, and even if a person has no discernment, he or she can research and make wise decisions. I chose not to look the other way. I trust God's word. Use wisdom, as I stated before. I would say that a lot has changed since the ancient days of walled cities. Back then cities warred against each other. I happen to believe that the description of the New Jerusalem found in Revelation is a metaphor for the church. The disciples were stones laid upon the the Cornerstone, Christ. It is through the church which Christ founded and was built upon the preaching by the apostles that we have the church which spans the globe today. We are not at war with Mexico or Honduras and I don't believe that a wall will solve the issues facing illegal immigration. While I agree with you that politicians "quote" scripture out of context, I don't believe that scripture tells us to build walls between nations. As a "bleeding-heart moral conservative, I am a bit torn on this issue, but we are told told to love our enemies and feed the poor and hungry. I have no issues with people migrating to the US, but I do wish that they would do it legally. It is the immigration system that needs to be overhauled, a wall won't fix this.